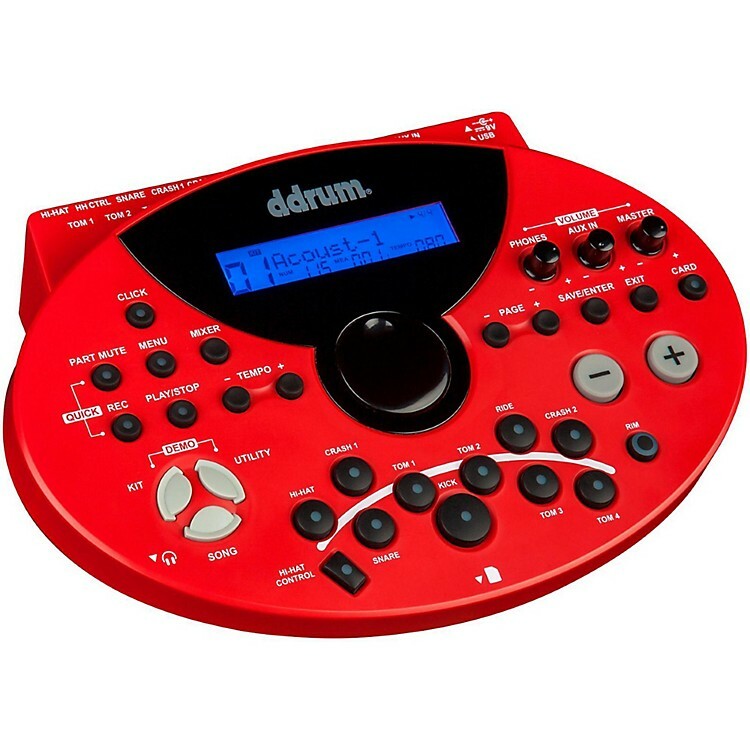 ddrum's top-of-the-line electronic drum module. The DD5XM drum module can be used with ddrum's entire Trigger line including the Trigger tube. Also, the module works perfectly with ddrum hybrid kits. The DD5XM comes loaded with 696 percussion sounds, 10 inputs, 59 programmable and 40 preset drum kits and 7-part, 220-song sequencer. Additionally, the module offers a SD memory card slot for saving kits, songs and more, while also being outfitted with MIDI I/O, USB functionaility aux I/O, line out and headphone out. Also, the four-band equalizer includes reverb.